Avery's Birthday is tomorrow and Kristen is throwing her the most fabulous heart themed birthday party. Pictures from the "Party Hearty" will be here soon. 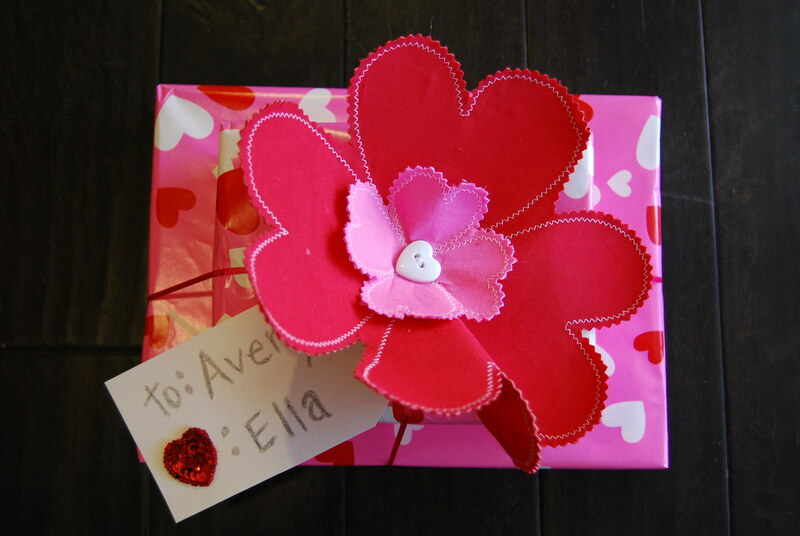 Since I am really into my new sewing hobby I decided to make Avery a birthday present. She loves dressing up so I made her a dress up dress with all of her favorite fabrics. It isn't the cutest dress but there is a lot of thought behind it. It was harder than I had expected but was so fun to make. Hopefully Avery will love it! A little Fancy Nancy, Hannah Montana, Dora, Tinker Bell, Ariel, and Cinderella. 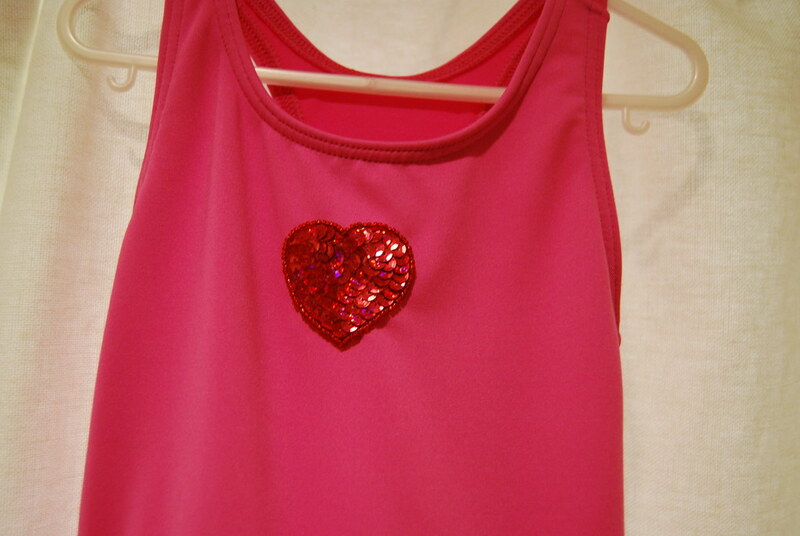 And the dress had to have a heart on it to go with the theme of the party. that is sooo sweet!! she is going to llllooooovvveee it!!! perfect! If I was a little girl this dress would be pure perfection. 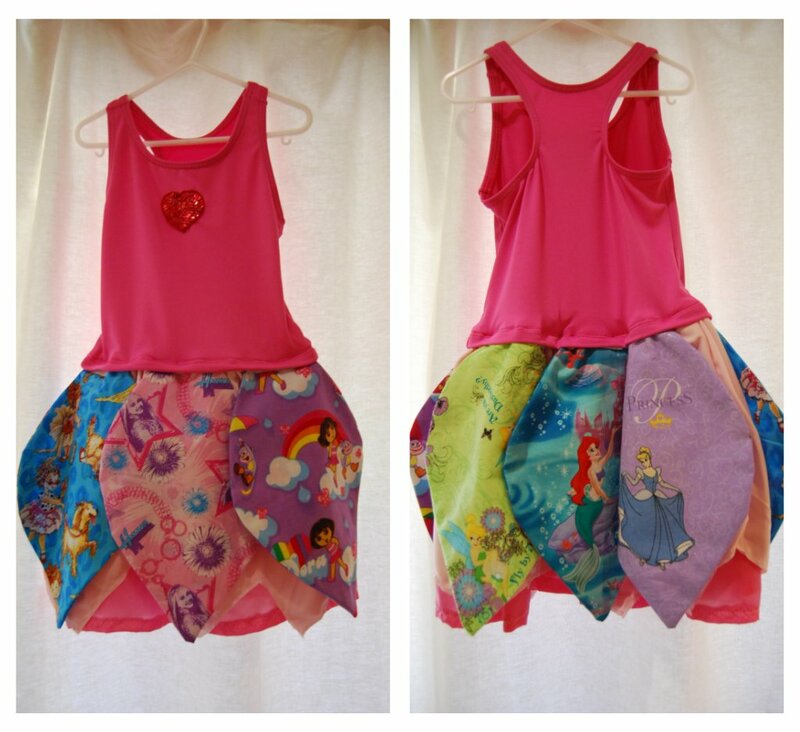 The skirt being so "fairy-like" and then the fabrics being all her favorite people...it's awesome! Um, I love you all. This blog is absolutely amazing.